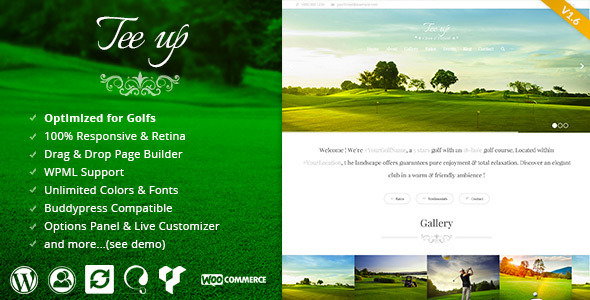 Tee Up is an Elegant premium WordPress theme optimized for Golf Courses. 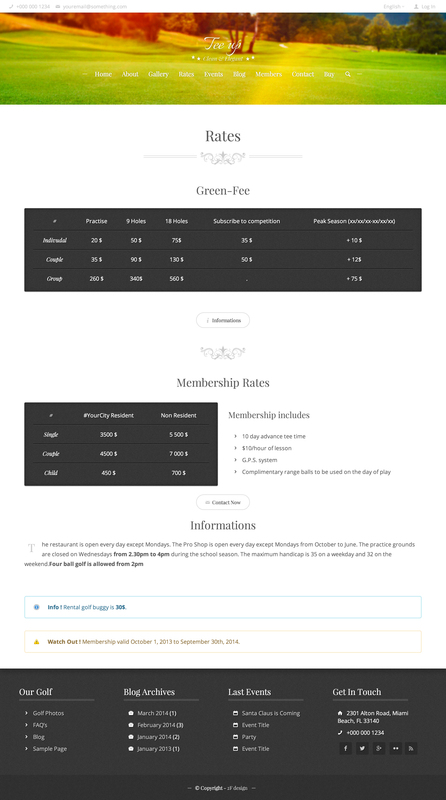 And perfect for any Elegant website (club, hotel, shop…) & It’s the most advanced WordPress theme for any Golf Course website, all your needs are in the packages ! It’s easy to install and customize, compatible with all the modern browsers & devices. 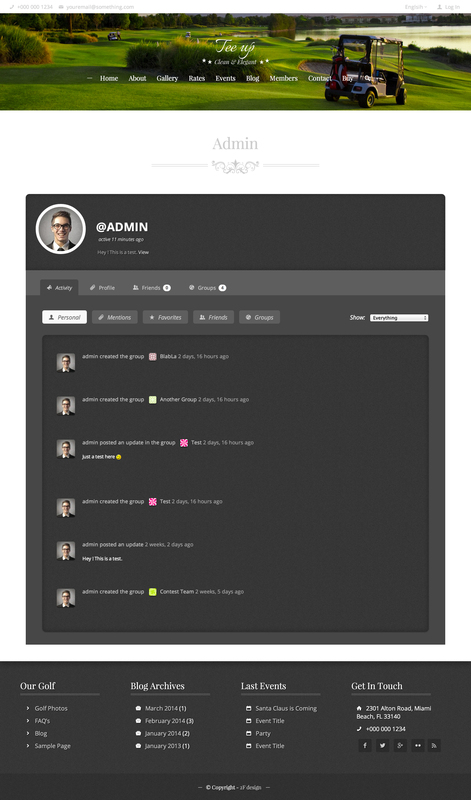 This theme is go with many premium features, slider & other cool stuff ! Take a look below to the features. 6 Custom post types for you website (events, gallery, testimonial, staff, sponsor and FAQ) NEW: + course post type. WordPress 4 + Ready ! - NEW Woocommerce compatibility ! - FIXED countdown in single event pages works now ! The other credits are in the documentation.